Morton Fraser has struck two deals to better position itself in the Scottish legal market. The firm has taken on the private client team from Addleshaw Goddard and has transferred its residential property team to Coulters, as it takes a minority stake in the estate agency. The deals will see a team of 10 from Addleshaw Goddard join Morton Fraser as a group of eight leave the firm to join Coulters. Morton Fraser will no longer directly provide estate agency work. 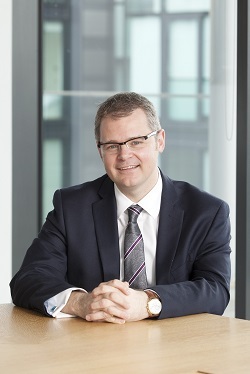 Chris Harte, chief executive of Morton Fraser LLP, said: “Being an independent firm means we have the freedom to determine what investments will best serve our clients and our people. “These opportunities mean we will bring in yet more fantastic talent to our private client team while at the same time allowing our residential property team a great opportunity to be part of a leading estate agency brand. “The estate agency sector is increasingly competitive and requires a single-minded commitment to a consumer brand, something Coulters is already delivering with aplomb. The Addleshaw Goddard Scottish private client team is led by Gregor Mitchell, who will join Morton Fraser as a partner alongside Euan Fleming and a team of eight consultants, solicitors, paralegals and executive assistants. Malcolm McPherson, senior partner in Scotland for Addleshaw Goddard, said: “The team leave with our thanks and best wishes, as they join a firm which is a better fit for their experience, expertise and client portfolio, while AG’s core market-leading private capital team, based in Leeds and Manchester, continues to be a key part of our business focusing on ultra- and high-net-worth individuals, corporate entities, family offices, trust companies and charities. Ben Di Rollo, head of business development & marketing at Coulters, said: “The combination of the Coulters’ brand and success story with the great team from Morton Fraser will undoubtedly have a positive impact on a sector which is traditional in nature.